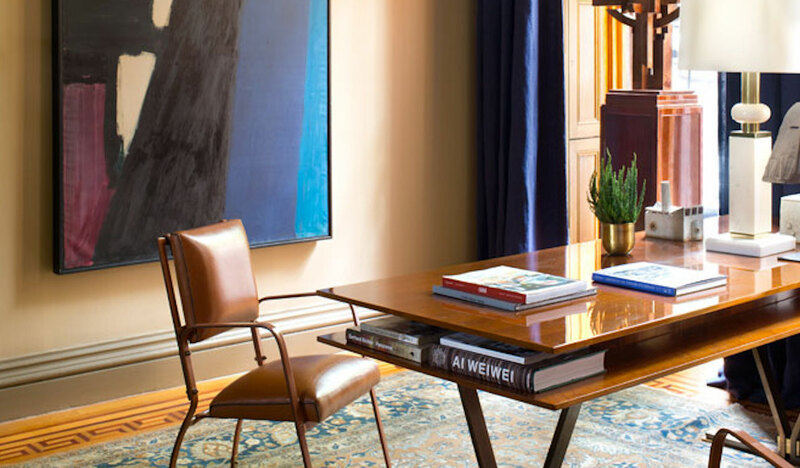 Overview: Interior designer, architect, art advisor and art collector Glenn Gissler will share his passion for art, his extensive knowledge about the art world, and the importance of fine art on the overall outcome of design projects. Offering insights to both the uninitiated and the initiated, he will speak about some of his experiences in the art world, integrating fine art into his own homes and sharing this knowledge and passion with his clients. And he will present strategies about educating oneself about art, the marketplace in New York City, how to approach art galleries to locate works, and how to sell art to clients, approach lighting and framing. Glenn Gissler is an award-winning, and widely published Manhattan-based design firm established in 1987. Gissler brings a multidimensional outlook to interior design. Trained as an architect at the Rhode Island School of Design, he has far reaching interests in 20th century art, fashion, literature, sociology, architectural and social history, and a general interest in objects as cultural artifacts. With a focus on fine residential projects, Glenn joins architectural concepts with thoughtful applications of lighting, fabric and distinctive furnishings and is committed to providing beautiful and extremely livable environments in which his clients are inspired to fully express themselves. His work is stylistically diverse and is regularly seen in magazines and books, LUXE, New York Space, Antiques & Fine Art, ASPIRE, Elle Décor, House Beautiful, Town & Country, House & Garden, HC&G, NYC&G, CTC&G, Interior Design, New York Times, Sunday Magazine, and Interior Design Master Class by Carl Delatorre. As a member of the Board of Directors – RISD Museum (Rhode Island School of Design) for nearly 10 years he donated many design, as well as fine and decorative art objects to assist the Museum in expanding its current holdings of 95,000 objects. Glenn recently completed his terms as the President of the New York Metro Chapter of ASID (American Society of Interior Designers), and among many other innovative initiatives and programs, he launched the magazine DESIGN to represent the chapters many activities , and just organized twelve events on behalf of the chapter for ICFF (International Contemporary Furniture Fair) at Jacob Javits Convention Center. Accredited for 1 CEU credit through AIA, ASID and IIDA.